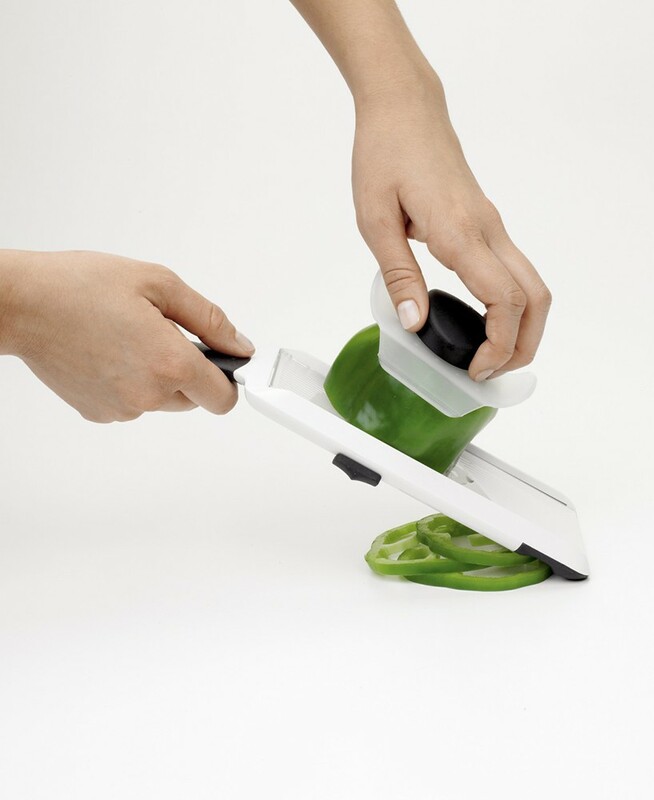 The Good Grips® Mandolin Slicer With Soft Handle. Enable easier slicing for people with reduced grip, hand or arm function. 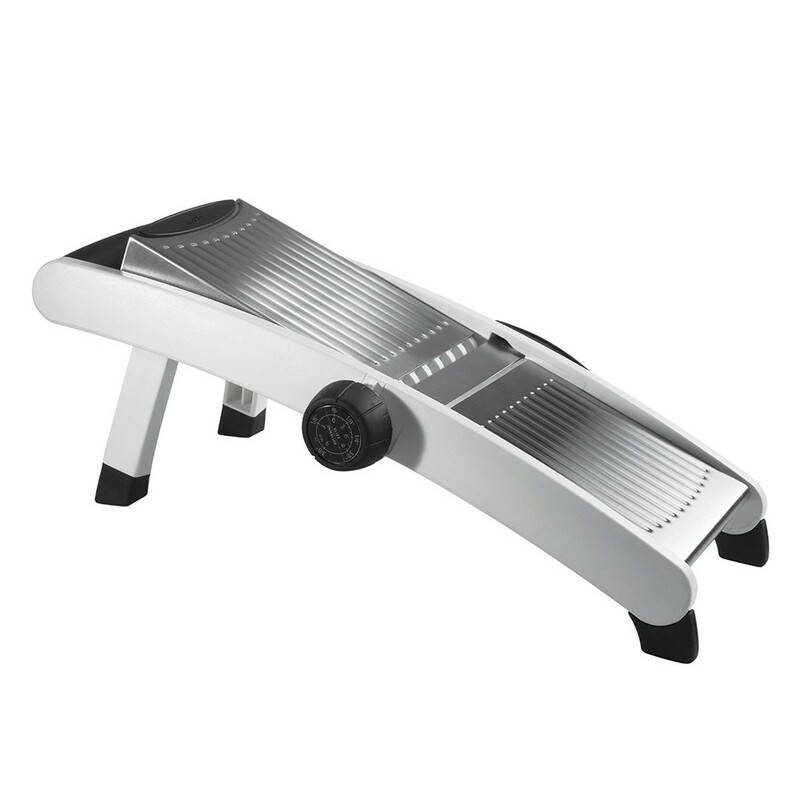 This user friendly Good Grips® mandolin slicer is ideal for cutting vegetables, fruit and other foods quickly and easily. Straight and wavy, the stainless steel blades can be set to any slice thickness which is adjusted by turning the soft, easy-turn dial. Featuring a soft handle set lower than the body ensures comfortable grip and keeps the user’s hand out of the way. Wide, non-slip feet ensure stability when in use whilst the large food holder protects the fingers and holds the food securely. Featuring folding legs for a compact storage. 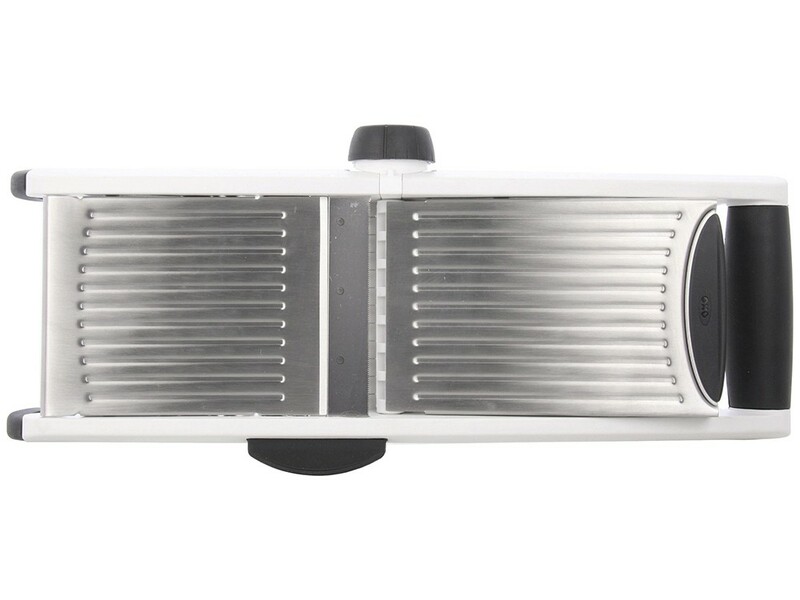 Blades are stored on the slicer and easily removed for hand washing. Body and food holder are dishwasher safe. Soft handle set lower than the body ensures comfortable grip and keeps the user’s hand out of the way. Wide, non-slip feet ensure stability when in use whilst the large food holder protects the fingers and holds the food securely. Folding legs for a compact storage. Blades are stored on the slicer and easily removed for hand washing. Body and food holder are dishwasher safe. Size: 130 x 41 x 70mm (5 x 1½ x 2¾").